Construction works on the $1.64 billion Townsville Port Expansion Project could start in 2018 after the Queensland Coordinator-General approved the Environmental Impact Statement (EIS). Port of Townsville chief executive officer Ranee Crosby said the 30-year development plan would ensure the Townsville Port kept pace with global and domestic demands. “The State’s approval of the EIS for the project cannot be understated; it’s a milestone that has been in the making for nearly 10 years,” Ms Crosby said. 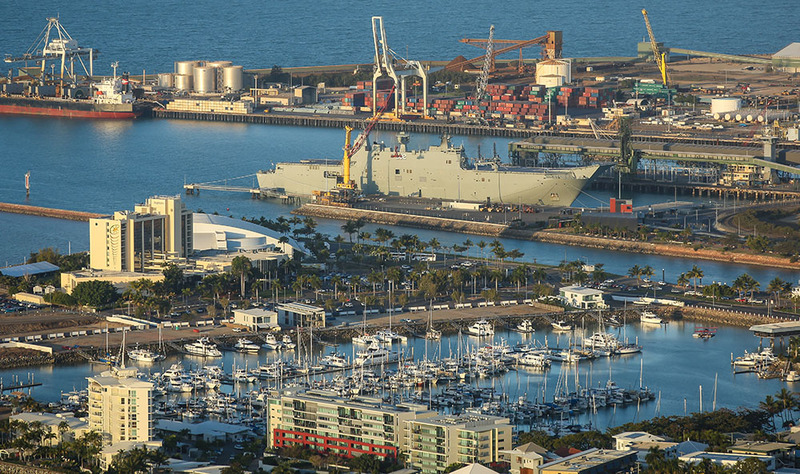 The $193 million Channel Capacity Upgrade will be the first work to start under the Townsville Port Expansion Project, involving widening of the shipping channels to accommodate larger ships. “Ships are getting bigger, so widening of the channel is critical. This will result in lower shipping costs for freight, and allows larger cruise and defence ships to visit the city, which is great for tourism in the region,” Ms Crosby said. The Queensland Government has committed $75 million towards the channel works, which will can start next year pending Commonwealth approval of the Additional Environmental Impact Statement and finalisation of funding. POTL expects a decision from the Commonwealth Government by October 24.